Kensington Publishing Corporation, 9780758229557, 473pp. In this warm, funny, thoroughly candid novel, acclaimed author Cathy Lamb introduces an unforgettable heroine who's half the woman she used to be, and about to find herself for the first time. . . But for everything that's changed, some things remain the same. Stevie's shyness refuses to melt away. She still can't look her neighbors' gorgeous great-nephew in the eye. The Portland law office where she works remains utterly dysfunctional, as does her family--the aunt, uncle, and cousins who took her in when she was a child. To top it off, her once supportive best friend clearly resents her weight loss. By far the biggest challenge in Stevie's new life lies in figuring out how to define her new self. Collaborating with her cousins to plan her aunt and uncle's problematic fortieth anniversary party, Stevie starts to find some surprising answers--about who she is, who she wants to be, and how the old Stevie evolved in the first place. And with each revelation, she realizes the most important part of her transformation may not be what she's lost, but the courage and confidence she's gathering, day by day. 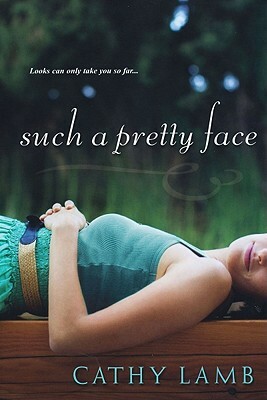 As achingly honest as it is witty, "Such A Pretty Face" is a richly insightful novel of one woman's search for love, family, and acceptance, of the pain we all carry--and the wonders that can happen when we let it go at last. "A story of strength and reconciliation and change." "Lamb delivers grace, humor and forgiveness. . .positively irresistible." "If you loved Terms of Endearment, the "Ya Ya Sisterhood, " and "Steel Magnolias, " you will love "Henry's Sisters. "Cathy Lamb just keeps getting better and better." --"The Three Tomatoes Book Club"
""Julia's Chocolates" is wise, tender, and very funny. In Julia Bennett, Cathy Lamb has created a deeply wonderful character, brave and true. I loved this beguiling novel about love, friendship and the enchantment of really good chocolate." --Luanne Rice, "New York Times" bestselling author. Which character in the book do you relate to, or like, the most? Do you recognize any of your own personality characteristics in Stevie, Lance, Polly, Cherie, Herbert, Crystal, Aunt Janet, Glory, Albert, or Zena? What are the differences in Stevie Barrett’s life pre- and post-bariatric surgery? Would you want to be friends with her? Would you have been friends with her before the operation? If yes, why; and if no, what would have prevented that friendship? Discuss Helen. Did she love both her children? What would it be like to be Helen? How did the author build sympathy for her, even though she threw both daughters over a bridge? What in Stevie’s past brought on her obsession with chairs? What do the chairs reflect about her state of mind? If you built and painted a chair that was a reflection of you, what would it look like? If you built and painted chairs for each other, what would they look like? Stevie and Eileen’s friendship ends by the end of the book. Should Stevie have ended the relationship or should she have been honest with Eileen about the relationship sooner so Eileen would have had the opportunity to change? Is Eileen capable of changing? Would it have been worth the emotional energy for Stevie to try to change this relationship? What do you think of Eileen? Do you sympathize with her at all? Were Zena and Lance a good match? Would you rather date Lance or Jake? Both? Neither? Why? Describe Aunt Janet and her development from the beginning of the book to the end. Do you respect her? Was she a pathetic figure or a strong one? Did she fail as a second mother to Stevie and as a mother to Lance and Polly by not leaving Herbert? Did she fail herself in staying? How so? Stevie’s Grandpa Albert says, “Hardship, honey, builds character. Having struggles in your life . . . will make you a stronger, more courageous adult. Learning how to find joy in the little things—the stream that runs through our property, the mountains, art, animals, the weather— this will set you up for a life of gratefulness and that will give you happiness. People who don’t have to deal with heartache, or don’t allow themselves to reach out to other people who are enduring heartbreak, end up being shallow, superficial, boring people, sweetie, they never truly live, they never get what life’s about, they never become full, compassionate, caring people able to live with wisdom and grace.” Is that true? Stevie’s relationship with Helen was fraught with pain, guilt, anger, blame, sorrow, embarrassment, shame, and hate, but she comes to a sort of peace with her mother by the end of the book. Was this realistic? Will Stevie ever “get over” her childhood? Stevie’s grandparents were in a romantic, enduring love affair with each other. How did this impact Stevie in her childhood and in her adult life? What did Stevie learn from them about life, leadership, love, compassion, heartbreak, and family? Stevie asked one chair, “If you had to compare your life to a garden, what would you see in it? Dead trees and bushes, stuck in the middle of winter? Weedy? Swamped with too much water? Drought filled? Blooming with a pink dogwood tree, tulips, daffodils and gladiolas? What do you need to cut out of your garden to make it better? What do you need to add?” How would you answer these questions? Were there any scenes in Such a Pretty Face that made you cry? Laugh? Reflect on your own life? What was your favorite scene? There are many serious issues discussed in the book: obesity, anorexia, childhood abuse, gay marriage, divorce, self-esteem problems, death, grief, relationship issues, mental illness, and so on, but there are also humorous scenes. Did the author balance the two correctly? What are the underlying themes in Such a Pretty Face? What advice would you give Stevie for her future? What advice would she give you?